The devastating floods in Louisiana and the wildfires in California are a sober reminder of climate change’s destructive path. We’re facing a harsh reality: frequent and extreme weather events are now the norm for more and more people here at home and abroad. As the number and scale of natural disasters around the globe increase, the connection between World Wildlife Fund’s environmental work, disasters and humanitarian action has never been more urgent. Healthy ecosystems not only play an important role in supporting recovery and reconstruction after a disaster, but in reducing future disaster risk. When governments and vulnerable communities combine environmental conservation practices with humanitarian efforts after natural disaster strikes, it’s possible to “build back safer“ and improve resilience – for both people and the environment. 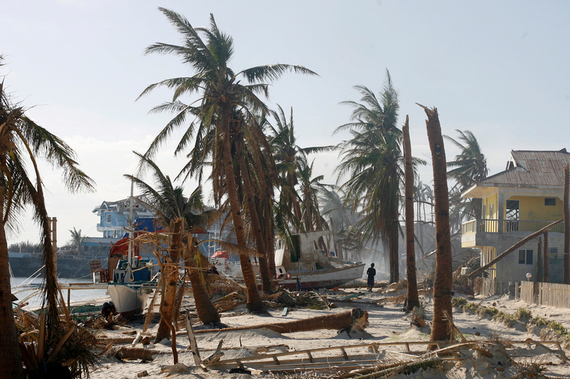 The need for environmental disaster response work first became apparent to me after the 2004 Indian Ocean tsunami. I was there during the rebuilding. My involvement began with something unexpected: fish. It never occurred to me that disaster response was a conservation issue, then I saw fisheries being rebuilt post-tsunami. Many builders were using outdated and potentially environmentally destructive methods. 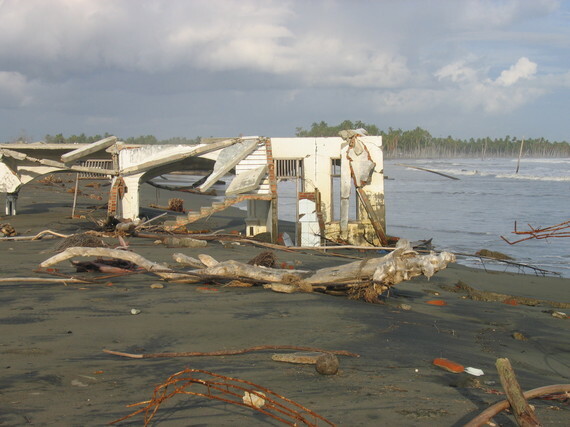 Building materials were needed to rebuild shelters and infrastructures – the need for massive amounts of timber, sand and gravel in a short period of time, poses a serious threat of habitat destruction, and a lack of appropriate spatial planning can expose people to flooding and landslide risk. 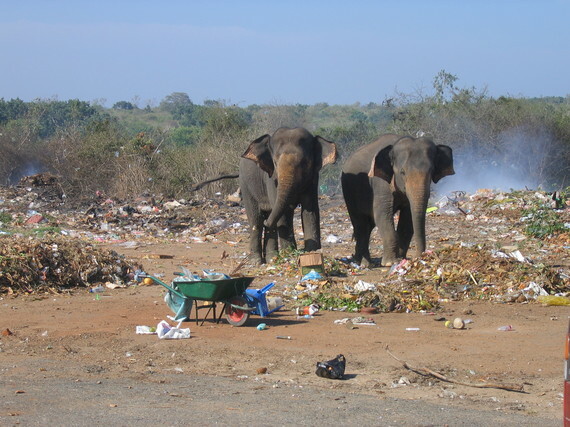 In Sri Lanka, a community was inadvertently placed in harm’s way by relocation from the coastline to an area that was an elephant migratory route. Our workshop at the World Conservation Congress will examine the concept of ‘’building back safer and greener’’ after natural disasters, and we’ll be sharing ourGreen Recovery and Reconstruction Training Toolkit – the only toolkit of its kind. Its purpose: to guide environmentally responsible rebuilding after a natural disaster and utilize healthy ecosystems to reduce future risk. The toolkit is a result of our work with the American Red Cross and covers a wide range of topics some of them include: how to assess the environmental impacts of a disaster, strategic site selection and development in the rebuilding process and water and sanitation better practices. Historically, environmental and humanitarian professionals have worked in isolation. But now, we’re routinely meeting each other on the ground. Humanitarian agencies working with disaster survivors are increasingly realizing that a healthy environment is critical to a healthy community. Although challenging at times, bringing together diverse skill sets and perspectives adds strength to every effort. It’s in the interest of both of our sectors to work more successfully together in advance of the next crisis — rather than trying to figure it out afterwards. The future holds many unknowns regarding how the world is going to be impacted by climate change. What we do know is that unpredictable and intense weather extremes are going to increase. So today, we have to continually learn, adapt and improve as we go. Embrace the uncertainty of tomorrow and work to collectively make the future less scary — by including the environment in disaster management and providing as many sustainable options as we can. This post is part of a series on the World Conservation Congress taking place this week. Held every four years, it brings together about 6,000 people, including heads of state, government officials, business leaders, representatives from indigenous groups, scientists, academics, influencers, educators, artists and NGOs, from all over the world to discuss and decide on solutions to the world’s most pressing environmental challenges. To read all the posts in this series click here.